Interactions come in all sorts of shapes and sizes. From the everyday hello of bystanders to moments that for some are far more memorable. Know for their loyal fan base, Motionless In White have been in touch with their fans from the word go. Going as far as incorporating lyrics from the fans of track “Creatures” the band wanted to involve the fans further with their decision of cover artwork. Becoming the silent member of Motionless In White thousands of entries were sent in as candidates for the cover art but only one would emerge as what we now know the cover to be. After ripping Download Festival’s main stage in half the band were available for a quick chat about the brand new album Graveyard Shift. Elaborating on the record’s overall feel and how much of it came about, it was a fascinating chat. Both stand up blokes Ricky and Ryan very kindly chatted to me about all sorts from the writing process of the record to understanding the importance of not only fans but music as a shoulder to cry on. 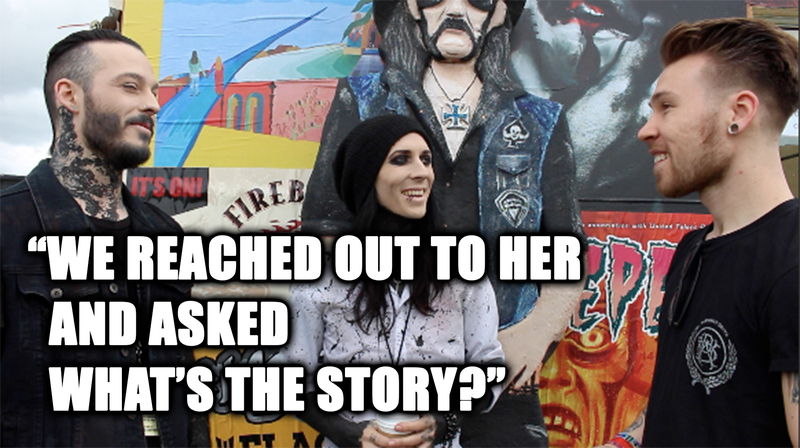 Join me as we take a look inside Motionless In White’s Graveyard Shift. Motionless in White’s brand new album Graveyard Shift is out now via Roadrunner.